Some people believe that website advertising doesn’t work and indeed it’s pretty easy to install ad blockers. For advertisers the good news is you only pay for impressions (people who see your add) at worst and click-throughs at best (people who click your ad to find out more). There lies the beauty, if you want to know more the information is instantly available – unlike with a TV ad, billboards, radio and newspapers/magazines. One such ad that caught my eye was for Virgin broadband in the UK – 10Mb fibre optic connection for £5 a month (AED 30). I’m paying AED 349 for a connection speed which usually gets edged by a drowsy snail and often cuts in and out. Introducing competition has made a small difference but hopefully prices will head south sooner rather than later. Someone has been pecking at my precious toms! 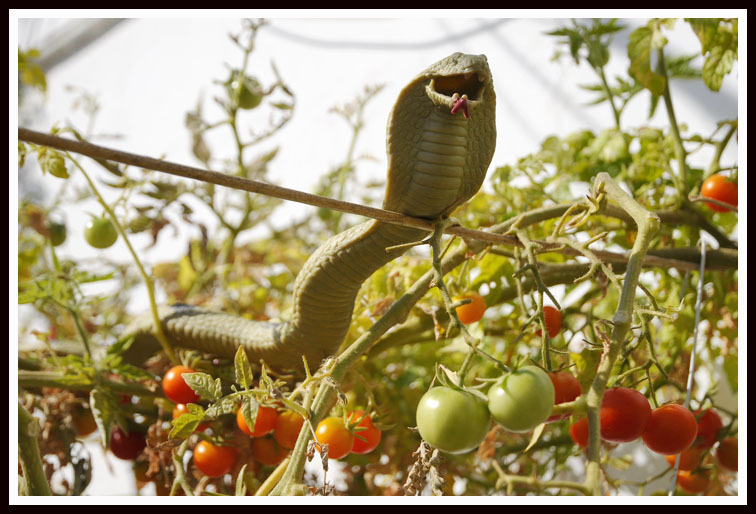 According to my wife there is someone in Dubai searching for a solution, his last attempt was strategically placed rubber snakes which failed. After my last blog I was inundated with entries for maddest of the mad. I thought I had all of the bases covered but then along came the former owner of Harrods and it was game over. 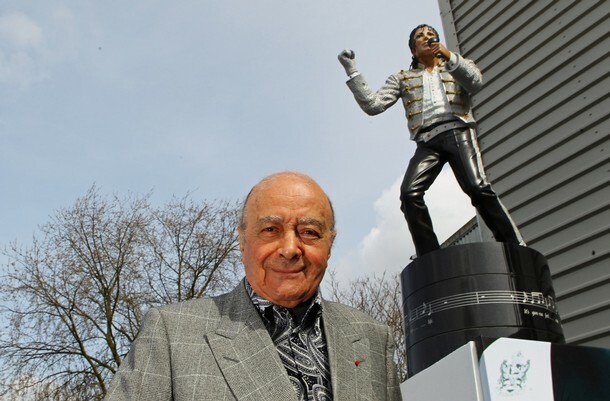 Al Fayed has had a statue of Michael Jackson erected outside Craven Cottage home of Fulham. “Why is it bizarre?” he said after the unveiling. “Football fans love it. If some stupid fans don’t understand and appreciate such a gift they can go to hell. “I don’t want them to be fans. If they don’t understand and don’t believe in things I believe in they can go to Chelsea”. While on the subject of Chelsea reappointing Terry as Captain of England strikes me as the act of a madman, take a bow Capello. Some of you who have been here a while will remember a classic side of a building ad for Nivea which was up for about a year on Sheikh Zayed Road and showed two women with the headline ‘more moisture, more pleasure’. Cue lots of giggling amongst the boys. 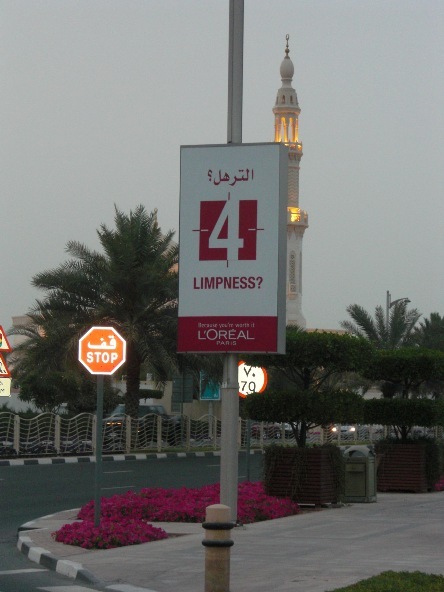 It took a while but Nivea has been trumped, I was driving along Beach Road the other evening when I saw this classic for L’Oreal. 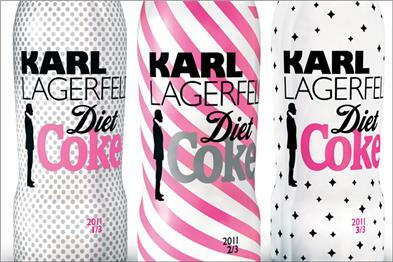 I’m not sure whose brand has been extended here but the people running Pepsi and Karl Lagerfeld must be mates with Al Fayed or the marketing team behind the HSBC sale. Stupid idea, stupid execution. Newcastle United manager Alan Pardew is standing by midfielder Joey Barton following his outspoken comments this week in the French magazine So Foot. The 28-year-old said that he was the best English midfield player and that he will not sign a new contract for his club until they prove their ambition. Pardew told BBC Newcastle: “Joey is an opinionated person and that isn’t a problem for me. If you had people without opinions, without that maverick streak then you wouldn’t have talented individuals,” he added. Joey, George and Eric, hmm, let me think, who is the odd one out? My mate was over from England last week and we had a good old talk about music. For every person that is prepared to pay to download music there must be at least two who grab it off the internet for free – you know who you are! I’m wondering if rapidly falling record sales is the reason behind more and more bands reforming or do rock and rollers find it impossible to hang up their amps. The latest three bands to reform are The Smiths, Adam and the Ants and Blancmange. I wonder if you can guess which of these three bands has a pride of place in my record collection. See below for a bit of vintage Adam to lead you off in the wrong direction. This week I sat on the red table with the gals. To be fair most of the time they talked a lot of sense but just occasionally they came out with some startling revelations or complete bunkum. First up I was reminiscing about my old headmaster at primary school, a fearsome fellow called Mr Taylor who every week at assembly did lost property. His favourite ploy was to hold up a sock and ask who had lost a left sock. Scarred for nearly ever I used to think you had left and right socks but was always too afraid to ask which was which. Much later in life I discovered that I had been a dork however Eve listened attentively to my story and retorted with, sorry there are right and left socksand proceeded to search the web for proof of which apparently there is plenty (Editor: Keith “Fashion Guru” Prosser – you can purchase yours here or here). I’ve just remembered that Mr Taylor used to make any boy forgetting his PE kit wear girls regulation green knickers for the PE class, bit mean but very funny. Check out this link (bit old, sorry) for the Daily Telegraph’s top 50 cover songs. Is Planet Earth telling us something? 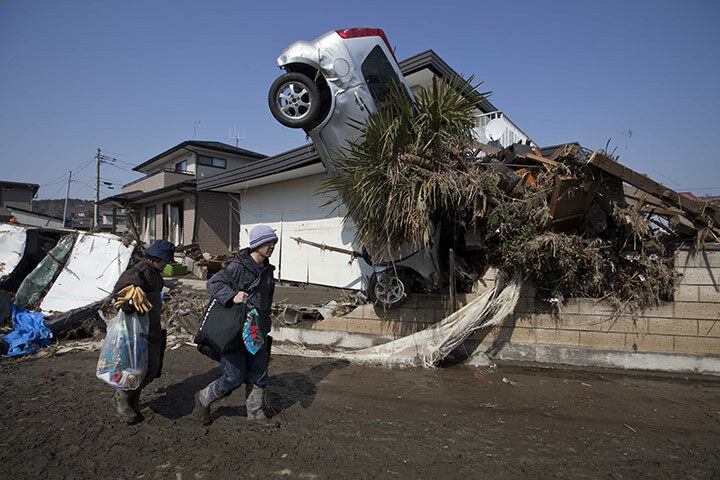 With the truly seismic events in Japan following hot on the heels of the earthquake in Christchurch, New Zealand the only possible answer is yes. 8.9 on the Richter scale is a monster and the tsunami that followed made for terrible and compulsive viewing. Japan apparently moved 3m and the earth has shifted on its axis. I’ve reached the point of thinking we are like lemmings with our insatiable appetite for consuming everything the earth has to offer driving us ever nearer to the edge of the cliff. With this in mind I was dismayed when the greedy, bonus gobbling bankers at HSBC wanted AED 450 for a loan clearance letter (standard template, change the name and account number, 30 seconds tops) and then subsequently heartened by this titbit from the latest Forbes 100 rich list. Carlos Slim Hélu, the Mexican telecoms tycoon, is unrivalled in the No 1 slot with a personal value of $74bn, an increase of more than $20bn. The next two in the list – Microsoft’s Bill Gates and the investor Warren Buffett – can only muster a lacklustre $56bn and $50bn respectively, but then they are both preoccupied with giving away most of their wealth to charitable causes. I was also very disillusioned about our collective intelligence when I discovered that Big Momma’s House 3 is whooping the King’s Speech at the box office. The latter-named movie, starring Colin Firth, made its debut at the 2010 Dubai International Film Festival and has earned $473,784 during its four-week run in the UAE. But despite sweeping the board at the film industry’s most prestigious event, ‘The King’s Speech’ is still being floored in the UAE by a comedy about cross-dressing FBI agents. ‘Big Momma’s House 3’ earned AED 1,801,645 ($490,490) in its first week of release and attracted nearly 54,000 admissions. My 14-year-old daughter, gave Big Momma’s House 3 a sympathy vote of one out of 10! Maybe we have all been brainwashed by Hollywood into watching rubbish movies. The power of brainwashing was recently proved by a study in Germany into the efficacy of placebos, it turns out that in many cases they work just as well as the real thing. At the same time I’m reminded of my good friend David Faulkner who mistakenly served up grape juice rather than wine to his guests, by the time he discovered the error of his ways the party was going with a swing. I was privileged to go to two brilliant events last week. The first was the gala opening event of the Emirates Festival of Literature; Michael Palin was excellent, exactly as you would expect: warm, intelligent and humorous. For some reason they put him on first so some people left at the interval before the awe-inspiring Wole Soyinka came on stage. 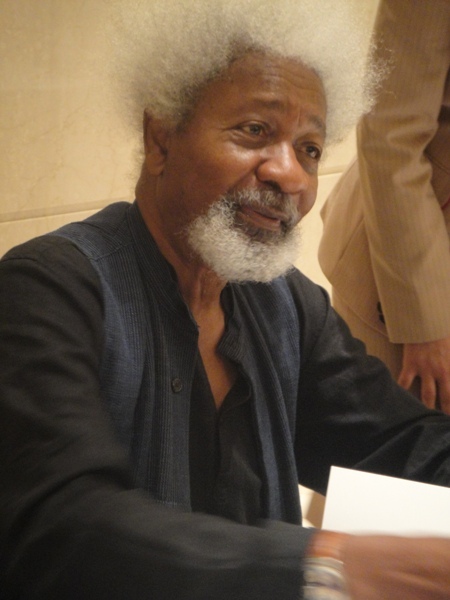 Mr Soyinka is a 77-year-old Nobel literature prize-winner from Nigeria. He looked like a mad professor, spoke intelligently with a beautiful almost beguiling accent and has in his bank of memories a truly inspiring life story which includes fighting dictatorships. His message of hope as glimpsed through the enduring virtue of human dignity had particular poignancy when set against what is happening in Libya. Gaddafi may hold back the tide but sooner or later he is going to be swept away in a tsunami of resistance amongst a people that have tasted the forbidden fruit of freedom. 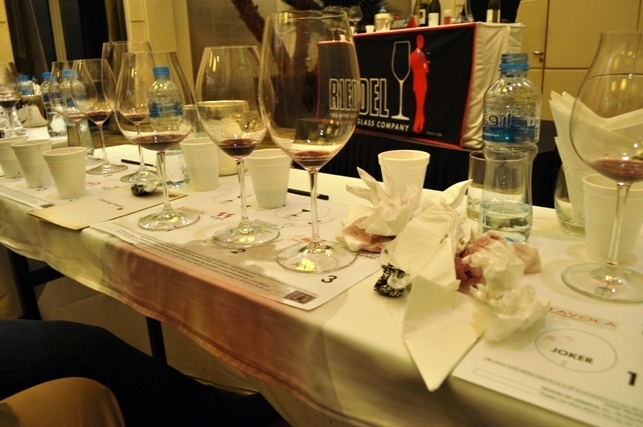 The second event starring Georg Riedel was also an eye opener. 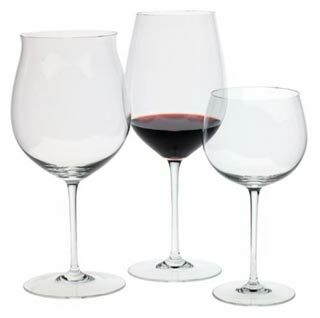 Mr Riedel is a wine loving Austrian entrepreneur, tenth generation owner of family business Riedel which has created a range of glassware tailored to grape varieties. It’s difficult to explain but starting with water he demonstrated how the taste characteristics of liquids change according to which glass you drink them out of. I was king of the sceptics (and the clown that spilt a whole cup of wine over myself halfway through his talk) but oh my goodness, maybe it was magic or suggestive selling and I was struggling with the science, but a Pinot Noir that tasted scrumptious in a Pinot Noir glass tasted very average in a Cabernet Sauvignon glass. If you like your wine I strongly recommend a mid-sized investment in wine glasses that perfectly complement your favourite wines. Anyone near our office in Media City must pop in to sample our harvested tomatoes. 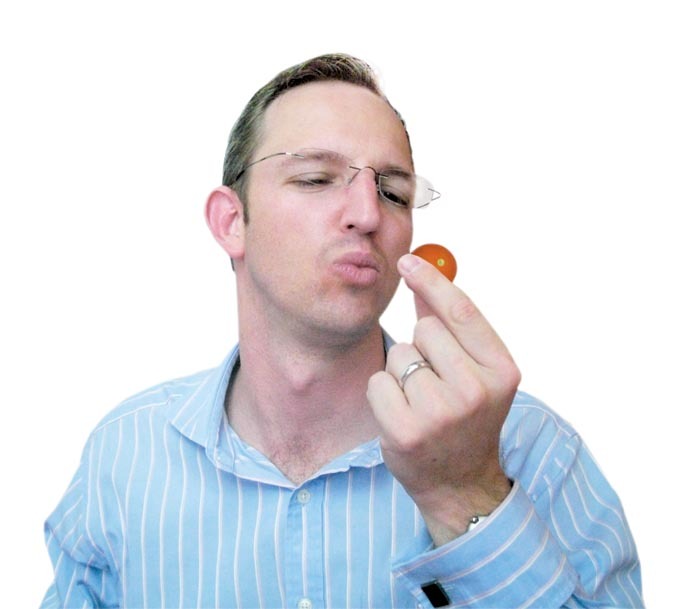 Take at look at the ecstasy on the face of our latest visitor, Mr Chris Briers of MMI. Don’t tell MMI I told you this but the Drostdy Hof Claret wine box which is on promo this month is great value and tastes good in any container. No films to review this week but for anyone who liked my Hold Steady recommendation check out Gaslight Anthem. More Bruce than Bruce himself. I’ve just realised to my horror that I got through a whole blog without mentioning sport so that means a sport top five, I fancy giving footballers a go (I’m limiting myself to ones I’ve actually seen on TV). I’m expecting a deluge of abuse from Tottenham supporting chums, I just want to say sorry in advance for not including Darren Bent! Damned if you do and damned if you don’t. The Americans came down on the side of right but it could well result in them confronting a feisty, middle-sized opponent in North Africa. Let’s not forget Egypt has been on the ‘wrong side’ before when they threw out the British Empire and ended up in bed with the Russian Empire. Interesting to see the Iranians urging on the Egyptian people and Israel providing the only support Mubarak has left apart from an army of paid for thugs. My only wish is that the seculars to win, fanatics of any persuasion are baddies in my book. Talking of baddies despite what my chums Peter Skerrow and Micky Brigg think the Tories have messed up big time. Remember all of that slash and burn and the private sector will take up the slack, it’s a load of hunkum bunkum. The British economy has gone south and soon they will be confronting British record dole queues and rather than having lots of busy workers paying taxes they are going to have lots of idle people claiming benefits. You don’t have to do the maths to realise it’s a recipe for disaster. That’s what you get when you have a Prime Minister who went to Eton and Deputy Head from Westminster. Clowns without a clue about the world in which real people live. Come on Peter and Micky, defend yourselves if you dare. That’s it for politics. I’ve long had a fascination for companies’ mission statements which are usually the same meaningless 50 words rearranged and stuck up in reception for visitors to stare at and wonder if they should make a sharp exit in case they bump into the idiot who wrote them. However I did enjoy the ones published by Goldman Sachs on their website. Number 1 is a beaut! Goldman Sachs became famous for advising unsuspecting investors (aka clients) to throw their life savings at the housing market while they bet their own money that the market would head in the opposite direction. They called it hedging but it was pretty damn obvious that they knew which direction it was heading in and gave it a big push just to make sure. They have 14 guiding principles in total and they make a jolly good bedtime read if you like heading off into the land of nod with a big smile on your face. 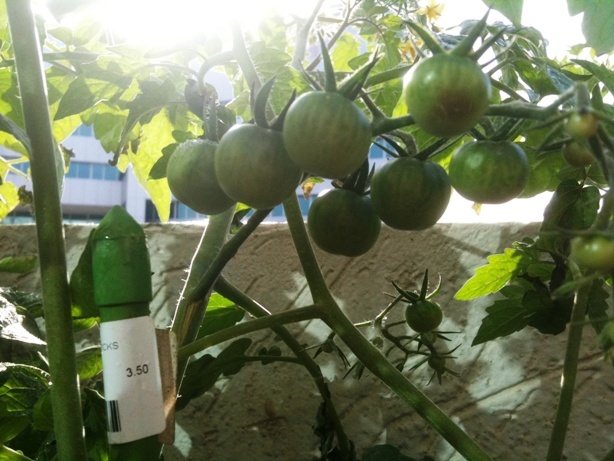 To grow the best tomatoes in the UAE! We are bang on target and concluding a supply contract with Carrefour as I write. Eve our very own Facebooker and Twitterer told me she really liked my blog last week as I, for a change, actually offered some views on marketing rather than just random comments on news and sport (note, I’m limiting my sporting comments to one sporting pic this week). Just at that moment an e-mail arrived in my in-box from Sally Prosser espousing the fun theory which was right up my street. British advertising is memorable because it’s fun and because it’s fun I’m more inclined to buy the product/service. Perhaps the most extreme example is Marmite and their absolutely hum dinger of a campaign – Love or Hate. They have simply observed that no-one is indifferent to Marmite, they feel strongly either way. 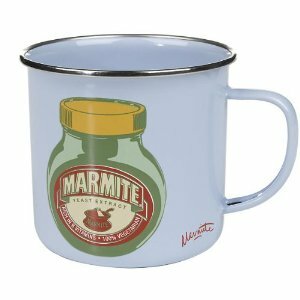 Now I hate Marmite but really wish I loved it so when I went camping last year my wife bought me a Marmite tin mug and I thought it was my best present ever (along with my shiny new Fred Perry wallet). So now even though I don’t like eating Marmite I show my affinity for the brand by proudly drinking my M&S tea in a Marmite mug. I very, very highly recommend spending five minutes of your life having a look at Volkswagen’s fun theory, it’s better than brilliant. Following on from my trashing of Burlesque a few weeks ago I have good news to report. The King’s Speech got an average 9 pout of 10 rating from the Prosser family with my wife edging towards a 10. Beautifully shot, well acted, historically interesting with some nice touches of humour. I was a bit shocked about the language used by a King but my 12 and 14 year old were unphased. Go and see it. Talking of shocked I was very pleasantly surprised to learn that a few people have been following my music recommendations, for few read one. Alan Main was left cold by The National (bit gloomy) but absolutely loved the Scottish rockers, Biffy Cyro. This week I’m recommending The Vaccines but I’ve got a sneaky feeling that I may be in a minority of one so please treat with caution. 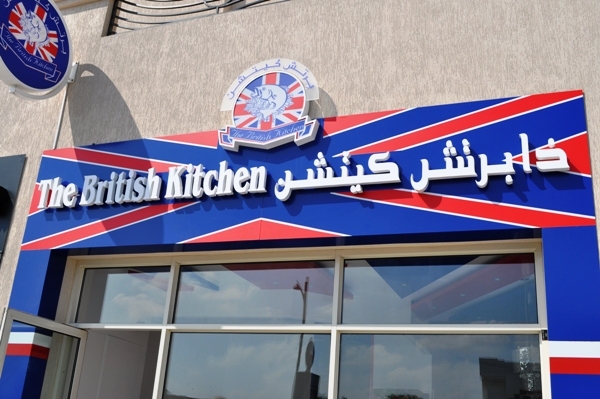 Nearly finally I have watched the progress of a new restaurant on Jumeirah Beach Road called The Great British Kitchen with great interest (Chalet, Jumeirah Beach Hotel end of Beach Road). I was thinking curry but when it opened it turned out to be a fish & chip shop. Quick review, menu – spot on (mushy peas and curry sauce specially for Darren Cole), chips – big, fat ones, nearly right but a bit soggy, cod – excellent but batter well wide of the mark, not golden and crispy, mushy peas – a triumph! Overall 5 out of 10, definitely worth a try and my guess is they will get the batter right and chips a bit crunchier. This week’s (first ever) joke was sent in by Mark M-D of Air Miles fame. David Cameron is visiting a Glasgow hospital. He enters a ward full of patients with no obvious sign of injury or illness. Cameron is confused, so he just grins and moves on to the next patient. 5. Nike + GPS. Set yourself a challenge, compete with friends – even if they’re the other side of the world – or just simply map and track your progress while pounding the concrete, or sand in my case. 4. Time Out Dubai. A regularly updated list of what to do in Dubai. Concerts, restaurants, films and events about town which can all be found by location, date, genre or by public and editor recommendations. It’s Time Out in your pocket and a must have. 3. Shazam. The perfect name for a really magical app that would be an excellent way to cheat in a game of “Name That Tune”. 2. What’s App. The Apple equivalent of BBM: a chatting tool that lets iPhone users text each other gratis. 1. Viber. Free to download and saves you money, but that’s all I feel comfortable saying with Big Brother watching. If you are an expat and have an iPhone you need this. I thought about dedicating this blog to tomatoes on the basis that there are 10,000 known varieties before realising that someone beat me to it. 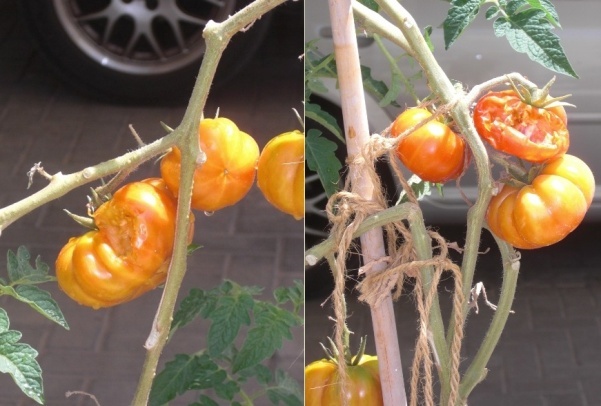 They wrote a lovingly crafted article on the ease of growing your own in Dubai but failed to mention my tips; don’t buy Dutch tomatoes or fertilise tomatoes with the stuff that dogs do. More good news on the tomato front; the ones my wife bought from the newly opened organic farm shop in Umm Suqeim are brilliantly delicious. Bravo and more please. Growing up in England I used to love seasonal fruit and veg. except for fresh pineapples – they were nowhere near as good as the tinned variety. Having fruit at the top of the agenda allows me to return to one of my favourite subjects; everyone in business is out to make a fast buck. Remember Ben & Jerry and all of that homespun, local-sourcing, community-building, dog-loving, hippy nonsense they shouted from the rooftops. Bizarrely I fell for it and actively sought out Ben and Jerry’s ice creams to strike a blow for David – and then what happens? – they sell out to Unilever, that’s what. Lesson learned? Unfortunately not. I then switched allegiance and championed Pret A Manger. What a great ethical company and a fantastic product. What happened next? Mc’Donald’s, that’s what. Now I was really beginning to question my naivety, yet I was still caught out by Innocent selling out to Coke. The only Innocent person was me and I’m ashamed to have been mugged by yet another gang of smooth operators. Here is what Richard Reed one of the founders had to say, “I respect different opinions. But for me it’s not about whether it’s a large or a small company, it’s about whether it is a good or bad one. And we think Coke is good.” I hope what Richard meant is Coke is good because they just gave me squillion pounds. Sorry for whining but it needs someone to take the lead. Once upon a time I thought it would be great to be a politician (JFK springs to mind, maybe that was who Tiger was trying to emulate) before quickly realising that it’s a mug’s game. Take the British government, they take dog’s abuse about binge drinking with the Daily Mail leading the charge. ‘How can we stop kids drinking so much? Ahh, I know the answer, what about making it too expensive, let’s put a tax on cider, we can even build a hospital and school on the back of the revenue raised?’ Very smart idea, especially as we Brits all start our drinking careers on illicit flagons of cider in the local park and then acquire a taste for lager before rediscovering it 20 years later at music festivals where it’s easy to sneak in past the sniffer dogs (tip of the day). Bizarrely the Daily Mail hated this idea – destroying lovely apple orchards, decimating the local economy in Somerset and upsetting my friend Skidders. Heads you lose, tails you lose and it’s a night in the dog house for being too clever for your own good. A cheaper way of raising money could be to bring back the dog licence. While on the subject of drinking it gives me the opportunity to heap special praise on the merry men at MMI who recently gave up their time and effort for a charity edition of Whose wine is it anyway? Expertly compered by the Mighty Marek and including a panel of wine gurus led by the knowledgeable and highly erudite Nick Midwood ably supported by Chris Charters (a wine expert from Manchester!) and David Knott; a great time was had by all. Watch out for MMI’s 2009 En Primeur offer and if you can get your paws on any first growths go for it – Latour, Lafite Rothschild, Mouton Rothschild, Haut-Brion and Margaux are the ones to look out for. In doing a blog I’ve come to the conclusion that it should include a public service function as well as being a platform to say whatever springs into your head. This week my gem is how to look after your shoes should you be unfortunate to step into something created by a waggy-tailed friend or indeed should the aforementioned friend chew them. One of the most frustrating things about my job is that whenever I hand out a hard copy of a presentation people skip all of the good stuff and head straight to the end to look for what it is going to cost them. I’ve countered this by hiding the budget in the middle of presentations. I’m beginning to feel the same way about my Top 5s as despite raising some of the big topics of the day they seem to be the only bit people are interested in. The debate about my punk top 5s is still raging with a culchie friend of mine refusing to accept that White Riot tops London Calling as the ultimate Clash song. Sorry Gez but London Calling is a soppy love song compared to White Riot. Inspired by a bad day at the golf office when I was taken to the cleaners by a hotter-than-hot pro taking a week off from the US PGA tour and his ex-tour pro dad, here are my top five beatings of all time. It was Talker Cup week at Emirates Golf Club and our team, magnificently led by Ted the Baker Brigg, won the day and I played my assigned role of making the score a bit closer. Rowing; 1978, Cambridge sunk, 1961 Oxford sunk (2010 Cam and CB sunk)! To all of these noble losers remember it’s not the winning it’s the taking part that counts and remember don’t let the tail wag the dog.